The only mail I like getting comes in the form of an Amazon package, but when I go to my mailbox, it always ends up being a pile of credit card offers and catalogs I could never see myself ordering from. Those pieces of junk mail usually end up in the trash, which is horrible when you think about all the trees that had to get cut down in order to produce them. That feeling of guilt must have sparked something in the people at PaperKarma, because they have come up with a simple way of unsubscribing from all of those unnecessary nuisances. We've covered this app before, along with other methods to reduce junk mail, but it has since received a much-needed makeover and additional options. By using your phone's camera and their database of known junk mail providers, PaperKarma can submit the proper paperwork to get you off of their mailing lists for good. 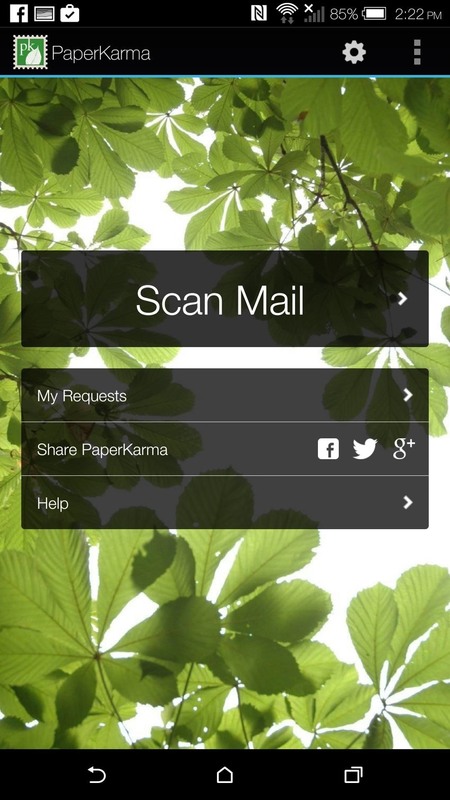 PaperKarma is free and available on the Google Play Store, iOS App Store, and Windows Phone Store, so go ahead and install your version and follow along below to see how it works. I'll be using the Android version, but the iPhone and Windows Phone ones work similarly. 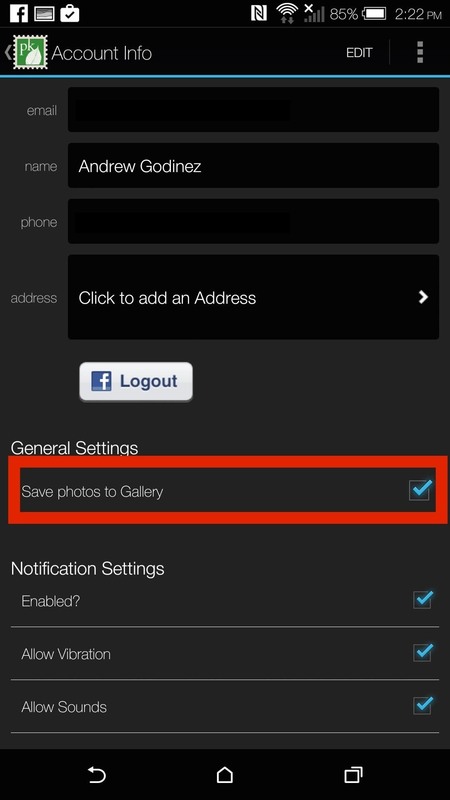 The first time you open the app, you'll need to create an account, but you can use your Facebook credentials if you'd rather not enter all of your information manually. You may also need to enter a few extra details, like your phone number and email address, if those cannot be accessed via Facebook. 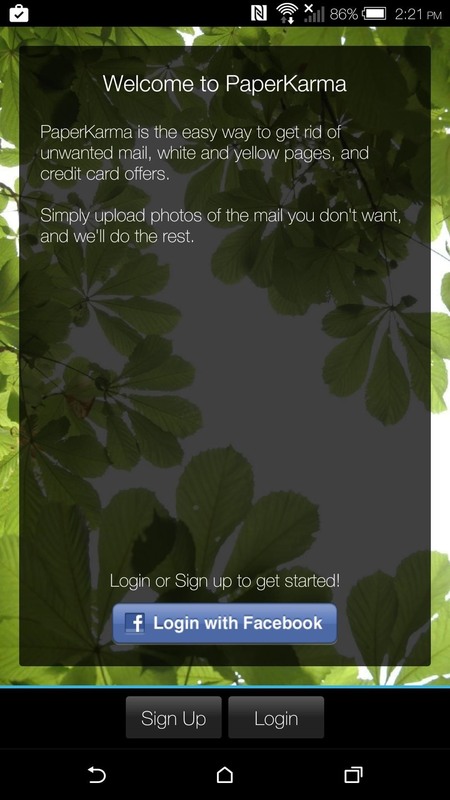 Now that you are signed in to your PaperKarma account, you can tap "Scan Mail" to take a picture of the junk mail you want to unsubscribe from. You will need to take a picture of each individual piece in order for the app to properly identify the sender, so be sure to snap a clear photo. If you'd like to have a copy of the image sent to PaperKarma, you can enable that option by tapping the settings cog icon from the main menu. 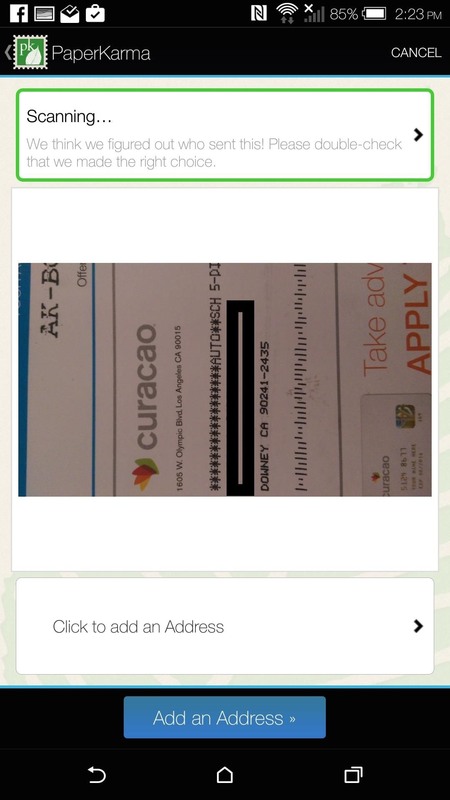 When you take your first picture, you'll also need to input your address in order for PaperKarma to properly unsubscribe you. If you ever move or have multiple homes, you can always add more addresses by tapping "Add Address" from the settings menu. Once you've selected your home address, you can tap "Unsubscribe" to let PaperKarma work its magic. All of your pending unsubscribe requests can be accessed by tapping "My Requests" from the app's main menu, and once the request goes through, you will receive a success notification. The time it takes for the request to go through depends on the company sending the junk mail, so patience is key. Keep in mind that PaperKarma does not work with all junk mail, especially those listed to "current resident," which is more of a post office issue. There is no telling how much PaperKarma will cost in the future, if anything, but as far as Android and Windows Phone go, it looks to be entirely free. 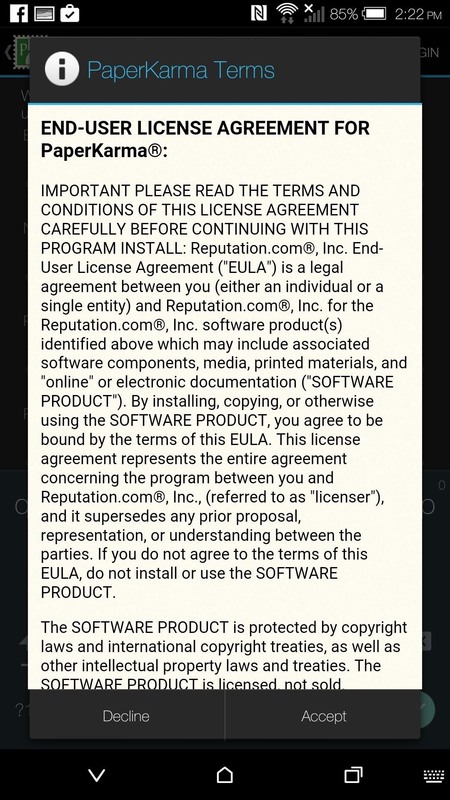 On the iPhone, there is an in-app purchase of $19.99 for "unlimited unsubscribes" for a year, which might mean you're limited to a certain number each month while using the free version. Did PaperKarma work for you? Let me know in the comments below, or over on Facebook, Google+, or Twitter.